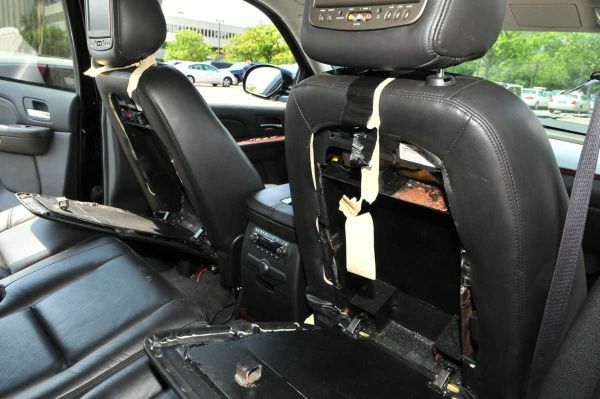 Drugs Are Found in a Hidden Compartment in a Car — Is This Case Provable? It is very common for me to represent someone pulled over for a motor vehicle infraction and ultimately charged with drug trafficking. I am convinced that most of these cases originate from a hunch; i.e. person of color driving a car in a predominantly white neighborhood. Or, they are Hispanic and Black people stopped at the Massachusetts border simply because they are of color. The scenario is similar. Pull them over and start searching the car without probable cause. A repetition of this pattern is bound to bear results. And guess what? On some occasions drugs are found in a hidden compartment in the car. No matter who hires me, the driver or one of the passengers, I get the same question: is this case provable? What Did the Occupants of the Car Do Or Say? Actions and/or words are important in cases with these facts. As the cops start their illegal search they take their cues from the actions of the car’s occupants. Is everybody looking towards a particular area in the car? Did someone, in an effort to save himself or point a finger at another, tell the cops where to find the hidden substances? Again, as with any criminal case, the people who say (and do) nothing fare best. Your silence cannot be used against you. Conversely, as little as acknowledging the presence of drugs in the car imparts knowledge to you and can add to the proof against you at trial. Ownership does not necessarily equate with knowledge however the prosecutor will certainly make that argument. “Of course he knew about the hide in the car. And of course the drugs were his.” On the other hand, once that argument is made it is difficult to attribute knowledge of the drugs to the passengers. How can you expect a guest in someone else’s vehicle to know that drugs were secreted in a compartment in that car? Notwithstanding the representations of the prosecutor, you cannot. Not too long ago I represented someone from Lawrence, Massachusetts who was pulled over and illegally searched in a parking lot in a neighboring town. The cops found an hidden compartment in the car containing two kilos of heroin and tens of thousands of dollars cash. Even though my client owned the car the prosecution was unable to tie him to the drugs. The car was recently purchased at a used car dealership. The dealership was owned and operated by people from the Dominican Republic who had a significant drug distribution history. My client’s fingerprints were not on the drugs or even on the areas surrounding the hide. Successfully prosecuting this case was simply not possible. Attorney Stephen Neyman has been defending drug cases for nearly three decades. There is no scenario we have not been confronted with. Our record for success is unmatched. If you have a criminal drug case pending in Massachusetts call us now at 617-263-6800 or send us an email. We can help you.